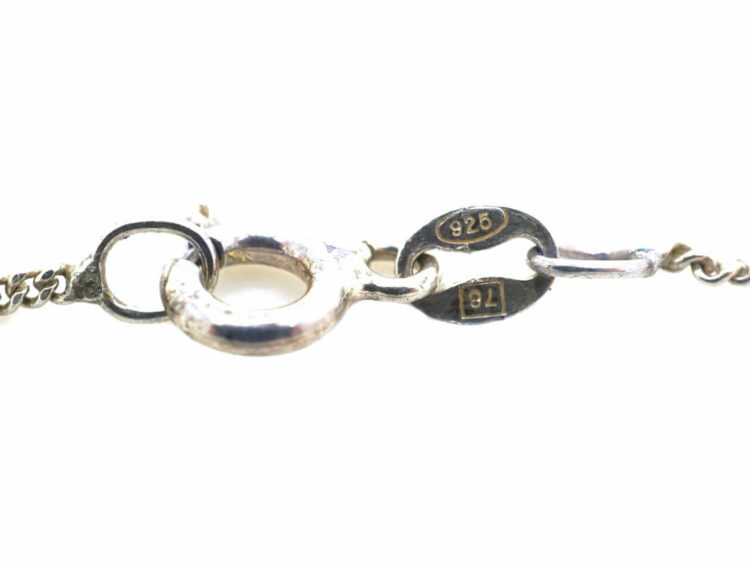 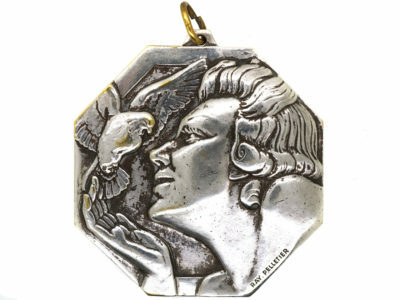 A stylish silver pendant that was made in the 1920s. 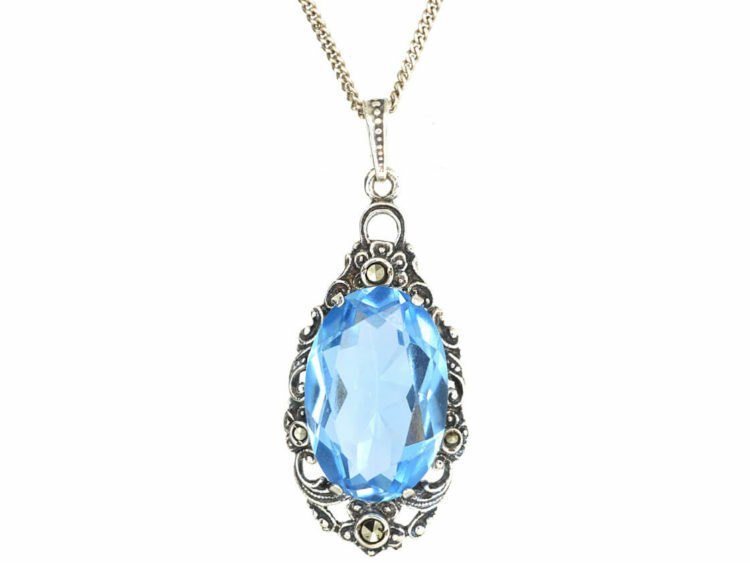 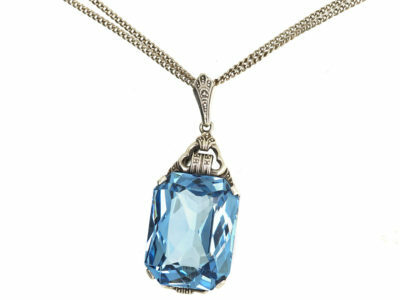 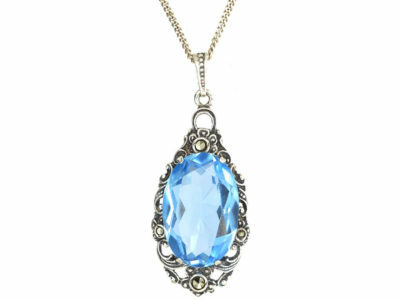 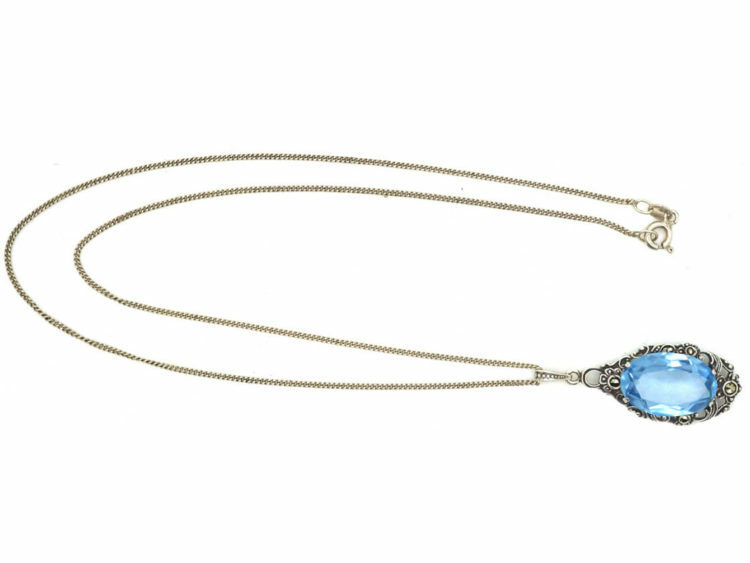 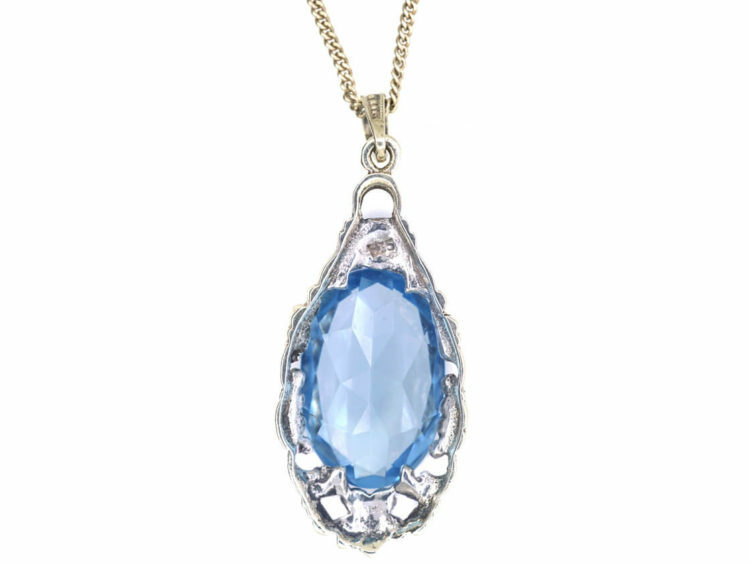 It has been set with an oval faceted synthetic spinel that imitates an aquamarine. 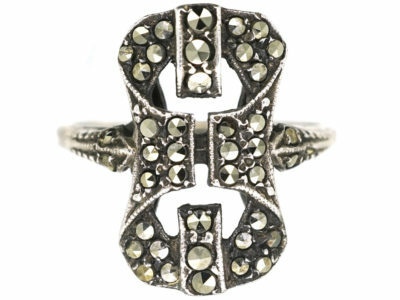 There are four marcasites set at the top and bottom and to the sides. 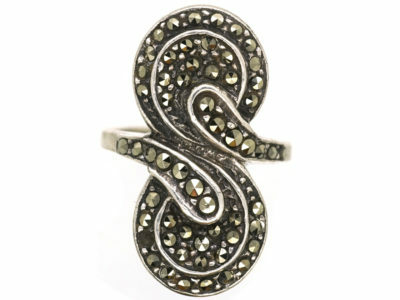 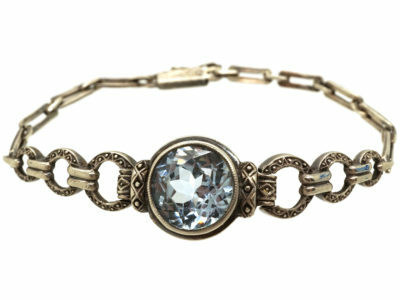 Marcasite is iron pyrites and was used to give the impression of rose diamonds as it has a hard glint. 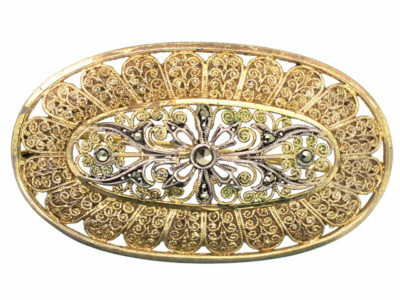 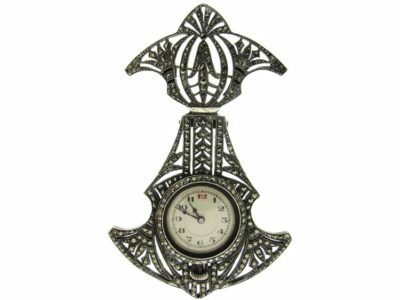 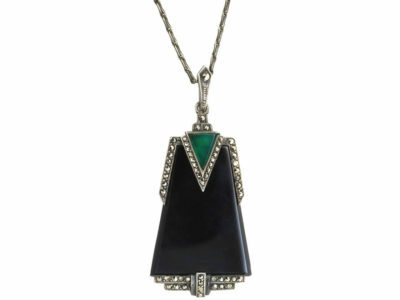 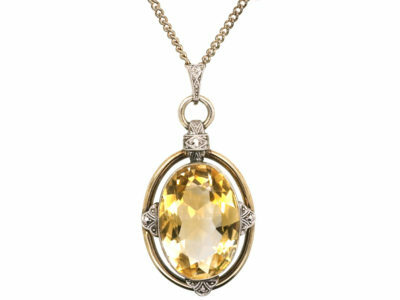 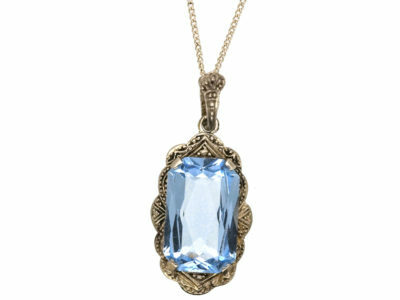 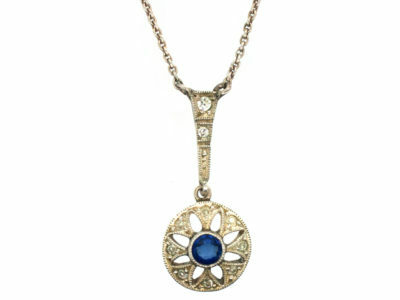 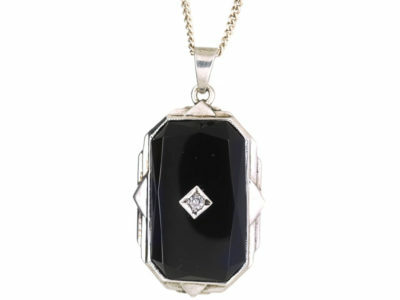 This pendant was made in Germany in the Art Deco period and is a great look when worn as it does not look dated.